Hazel McDonald has been a member of GCO since 1994. After meeting her former teacher, Bob Nelson, and being encouraged to audition for the orchestra, Hazel has been a committed member ever since. 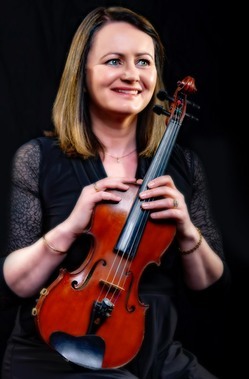 Hazel has been playing violin since she was four, studying with Bob Nelson at Junior RSAMD and Christine Nelson privately before going to University to study Civil Engineering at Glasgow and Strathclyde Universities. After qualifying, Hazel returned to violin study with Wilson Hainey and Kanako Ito, both of BBC Scottish Symphony Orchestra, gaining DipABRSM (Dist) in 2014. Hazel also plays regularly with the Amicus Orchestra and also enjoys taking part in solo performances at her church, concerts in and around Moffat and chamber music with friends and family.